Right about now, you may be wondering where the fanciest place in town is to take your date to for Valentine’s Day. If sky’s the limit (or at least the 56th) floor, make a reservation for two at Nobu Kuala Lumpur — only one of the world’s most recognised Japanese restaurants in the world. Little fun fact: the empire that is Nobu began in 1994 by Chef Nobu Matsuhisa and his partners which include Robert De Niro! Without borrowing from a cheesy romantic comedy, the view from here is beautiful (“it is,” he says as he stares at her). The city’s skyline wraps around the windows for as far as the eye can see. 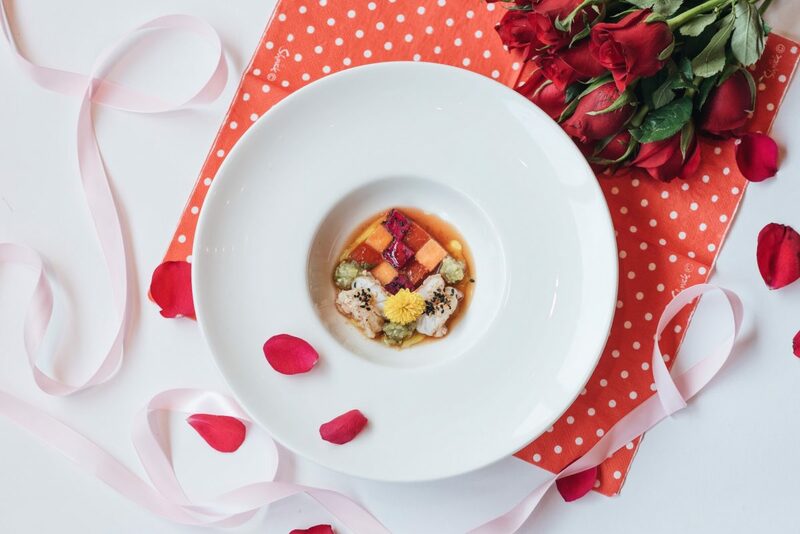 Love tastes a lot like the Japanese-Peruvian flavours in the Valentine Omakase menu that has been specially created by Executive Chef Philip Leong. The 7-course menu really impressed us with dishes that taste as good as they sound. Ones we liked most include the Fresh Water Prawn with Butterfly Pea Flower Dressing, Grilled Wagyu Beef and Bottarga with Corn Cream, and Dry Miso Popcorn and Roasted Romanesco. It goes without saying that in classic Nobu style, sushi is also served as part of the omakase. The rest of the meal extends to Seared Botan Ebi with Glazed Vegetables, Wasabi Salsa and Ponzu Sauce, Cured Salmon with Caviar, Coral Crumble and Prawn Oil, and Truffle Rice with Spinach Chazuke — while spinach seems a risky choice for a date, we say go for it. As for dessert, there’s the Strawberry Pavlova with Vanilla Cream and Strawberry Jelly. We’ll skip the obvious ‘second dessert’ joke here. The Valentine Omakase is available from 13 to 17 February, 2019. Nobu Kuala Lumpur is located at Menara 3 Petronas, Persiaran KLCC, Kuala Lumpur City Centre, 50088 Kuala Lumpur. Make a reservation online or call +603 2164 5084.